Despite these creative obstacles, Ariana has made a decision to not let her fans bear the brunt of this. The tweets also serve as official confirmation that Ariana won't take the Grammys stage, after sources told Variety on February 6 that she cancelled a performance over song disagreements. Sources said that Grande felt "insulted" when producers pushed back on her choice to perform her new single "7 Rings" and suggested that she perform a medley that began with the song and then transitioned into a song they chose. 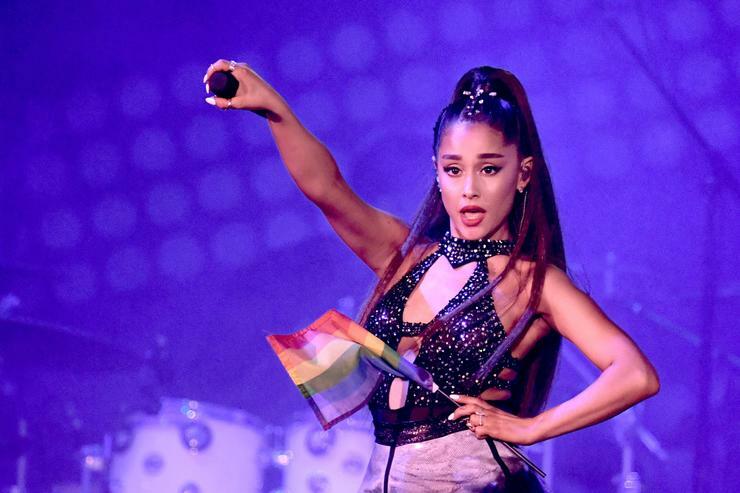 The singer's mom, Joan Grande, also chimed in and sided with her daughter, calling promo for the Grammy's "exploitive" as it uses Ariana's songs. "I am still grateful for the acknowledgement [sic] this year", Grande tweeted. "It's about collaboration. It's about feeling supported", she wrote. Twitter was sent into overdrive as the album dropped, revealing that Ariana has broken iTunes US history by reaching the top spot in the fastest time recorded - a mere five minutes. Ariana Grande performs on stage at Billboard Women In Music 2018 on December 6, 2018 in New York City.